Samsung Ativ S: Samsung has recently faced the Law issues with Apple and has to pay $1 Billion to them. This made them search alternative of Google Android mobile Platform and they are seeking side of Microsoft’s Windows and their own Bada OS. Samsung has launched Ativ S with Windows 8 OS running on a 1.4 Dual Core Processor and 1GB RAM. They featured a 4.8inch Gorilla glass 2 screen, 8MP camera and 2300 mAh battery. The design is awesome with bezeled edges and brushed metal finish. Samsung has also launched a ATIV Tablet based on Windows 8. Nokia Lumia 920: Lumia 920 is launched just few days ago and after release of Apple iPhone 5 most of the users are saying that Nokia has got their own chance to sell phones. Nokia features a 4.5inch display, Wireless charging and Pureview Camera as most attractive features. Lumia 920 is running Windows 8 on Krait 1.5Ghz Dual core processor on Snapdragon chipset paired with Adreno 225 GPU. 1GB RAM and 32 GB Storage makes it ready for music, video and photo collecting. 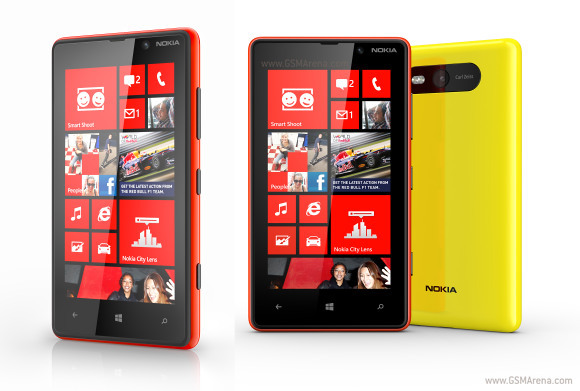 Nokia Lumia 820: Nokia has launched another lumia 820 with almost same feature as Lumia 920 but this time with a smaller screen. 4.3inch Amoled. Windows 8 runs on same hardware but storage has been decreased to 8GB. 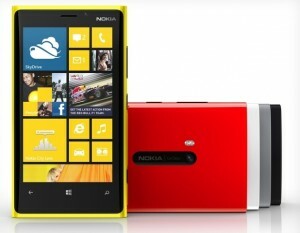 Nokia has also limited the battery source to 1650mAh to make the phone slimmer than Ativ S and Lumia 920. HTC Windows Phone 8X: We already told that HTC is secretly building its Windows 8 Phone in our previous update and now the leaked specs and photos are all over the internet. 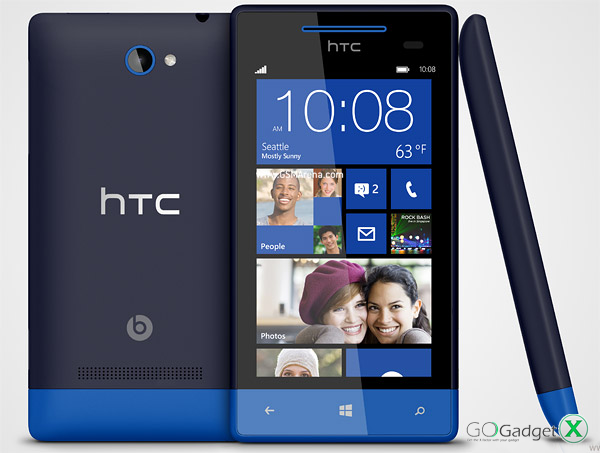 There are 2 Phone HTC is planning Window Phone 8X is the higher end Dual Core 1.5Ghz Krait processor and Adreno 225 GPU powered device. Samsung has equipped it with 4.3 inch screen Corning Gorilla Glass 2, 8MP camera with 1080 P video recording, Beats Audio. 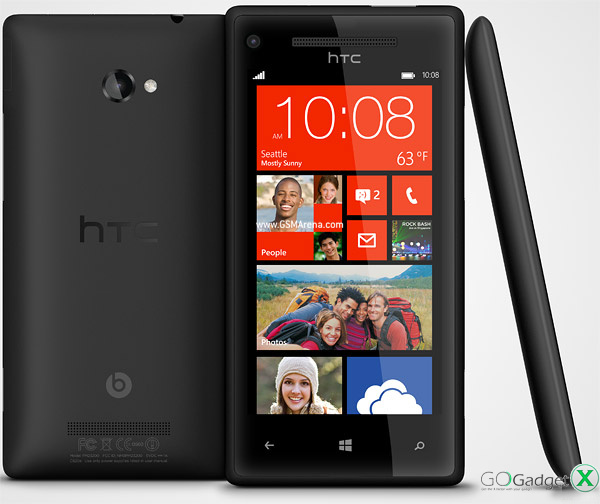 The Phone has a elegant design somehow representing to HTC One X.
HTC Windows Phone 8S: It’s a little less powerful than the 8X and running on a Krait 1GHz Dual core processor and Adreno 225GPU. Other features has also been supressed like camera for this one is 5MP camera, screen 4.0 inch Gorilla Glass. But other connectivity features and Beats audio remain same. It is interesting to see here that HTC has already plans to capture market with Windows Phone [They have manufactured Windows Phones before] and directly competing with Nokia and Samsung Windows Phones. We would be adding some more phones to this list as soon more Windows 8 Phone get released. 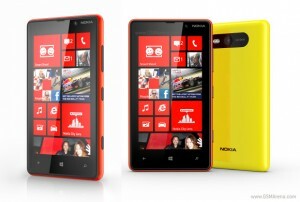 It seems like Nokia is making some budget priced Win 8 Phone as well. 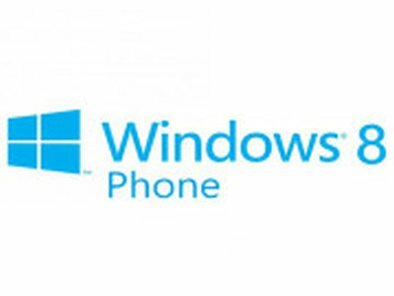 Next we have got leaks that Motorola is also working on to bring up a Windows 8 Phone. Samsung is waiting for the response and then they will be releasing some more Windows 8 Phone. We are interested to see a Phone that can Dual Boot Windows Phone 8 and Android Jelly Bean. Best Gaming Android Smartphones and What games you should Play?